Let a deliciously rich auburn shade bring your hair colour to life this season. With vibrant hues ranging from a medium ginger tinge to deep, dark brown, auburn has been seducing hair enthusiasts everywhere. This chic hair colour is not only ultra versatile but also incredibly flattering on most skin tones. Whether you’re looking for a complete hair makeover or just some inspiration to spruce up your chop, we have an option that’ll suit your wants and needs amongst these hottest auburn hairstyles and colour shades. While both chestnut and auburn feature red undertones, the former finds itself on the colder end of the colour spectrum. Auburn, on the other hand, has a much warmer character and tends to appear more vibrant due to its density of red colour pigments. 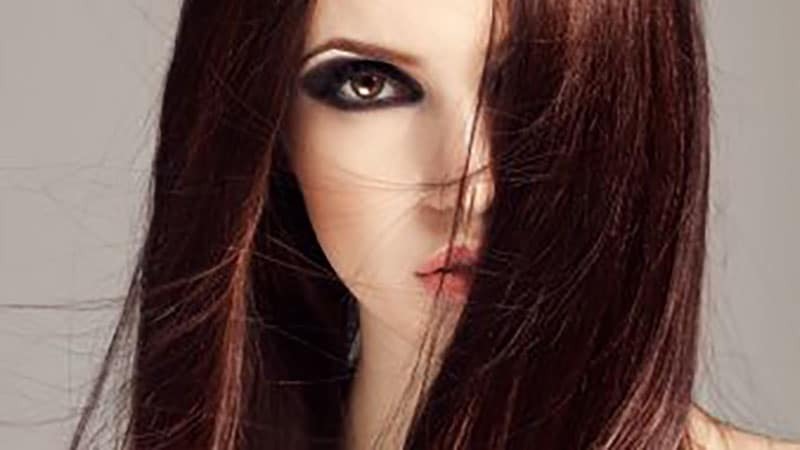 The undertone of mahogany coloured hair is more of a purple-based red, which often occurs in darker brunette shades. Auburn, however, has more of an orange-red tinge, which tends to appear brighter. Auburn brown hair typically ranges from medium to dark shades. It’s rich in colour pigments, which makes it more vibrant than other brown tones and a flattering colour option for almost every skin type. Dark brown auburn is a vivid, chocolatey colour that will frame your face beautifully and put your eyes in the spotlight. The shade creates a stunning contrast on ladies with lighter skin tones like Lily Collins. Light auburn hair is a beautiful gingery shade that works with both cool and warm complexions. Isla Fisher, Amy Adams and Emma Stone are our poster girls for this gorgeous look. 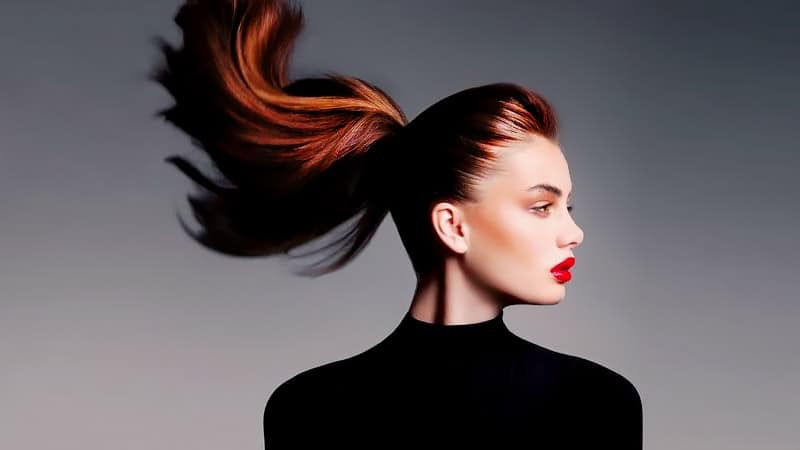 Rich auburn hair has a higher amount of red pigments than your usual dark brown. Therefore the colour appears more like a dark red than a dark brown, which enforces a mysterious and sophisticated flair. 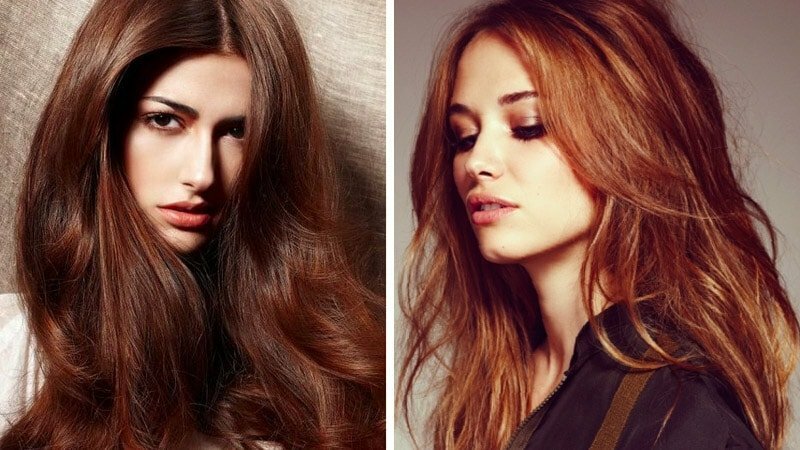 Blonde highlights or a chic balayage will inject a summer flair into your auburn hair. The colourful layers of this sun-kissed style will add depth to your strands while maintaining the integrity of your auburn shade. Copper highlights will add some serious shine to your auburn coloured hair. The orange tinge will brighten the red elements of your hairdo while adding more complex layers to your colour. Of course, you can also tone your auburn hair down a notch. Lowlights will have a similar effect on your colour. The only difference is your hair will appear darker instead of lighter. Auburn orange hair is a vivid ginger shade with a light brown undertone. The rich pigments of this colour will add incredible luminosity to your hair while also brightening up the appearance of your skin. Natural auburn hair tends to be either more on the dark brown or ginger side of the colour wheel. If you were born with auburn coloured locks, consider yourself one of the lucky ones. Its warm, berry hue is what makes this hair colour so appealing. 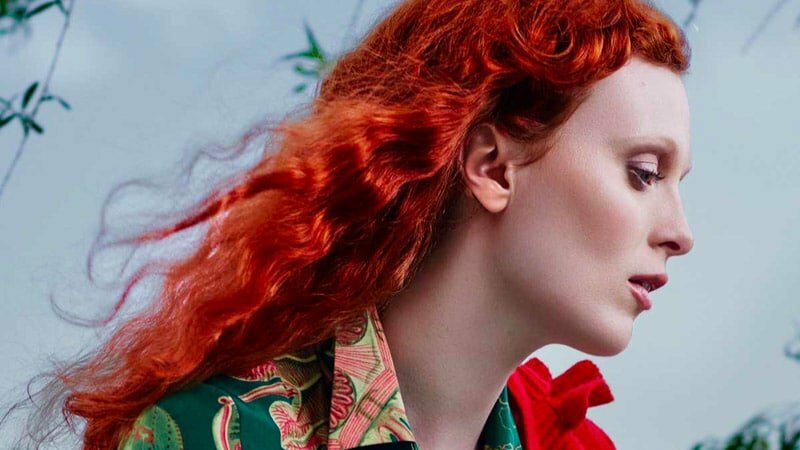 Red auburn can vary dramatically depending on your natural hair colour and skin tone, but will undoubtedly look fantastic. Medium auburn hair is a popular in-betweener of brown and gingery auburn hair. The incredibly flattering shade looks especially radiant in combination with a porcelain complexion. If you’re not one for long auburn waves, you can add a little cheek to your style with a fresh, shorter chop. Different auburn accents will lend your hairstyle additional dimension. Whether your hair is naturally curly or not, voluminous spirals and auburn hair are a stunning combination. Long, below-the-shoulder curls are a wild eye-catcher, while a fun, short style is the perfect summer accessory. Black hair with a slight red hue is a luxurious shade that suits warmer and darker complexions exceptionally well. You can use brighter highlights to contour your chop to your liking. On light brown hair, auburn highlights can add more visual depth and luminosity. 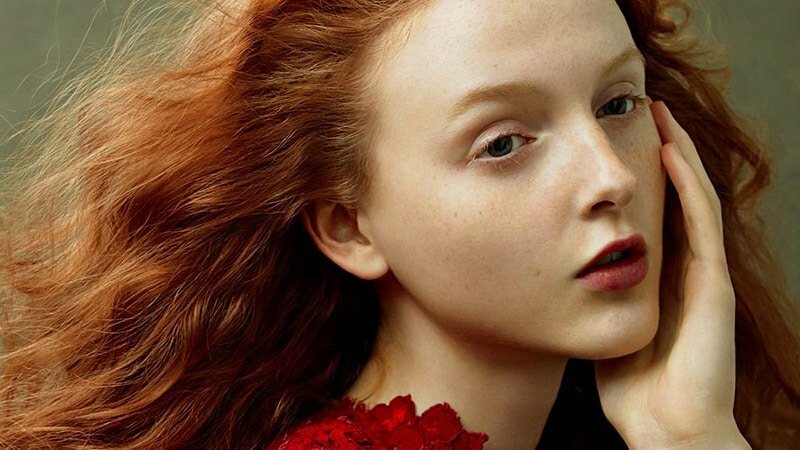 The red pigments of this colour will increase your hair’s vibrancy while maintaining a natural appeal. Blonde and auburn highlights on brown hair can create a mixture of delicious shades. If you have warm brown hair, opt for a golden blonde and gingery auburn. Alternatively, if your brown locks are cool, select an icy blonde and berry-hued auburn. Auburn highlights are a great way to contour your brown hair. A few carefully placed foils down the lengths of your strands will accentuate waves and make your hair appear fuller and bouncier. Auburn hair colours can look fantastic on African American ladies. For a flattering look on darker skin tones, just select a rich and deep shade of the colour. 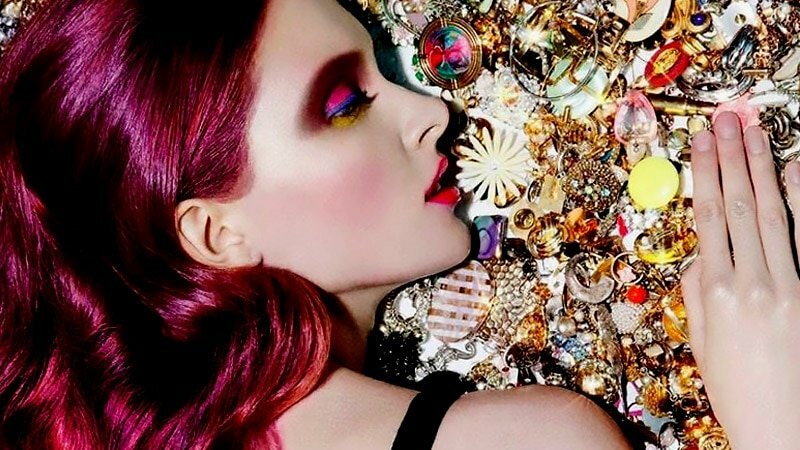 As opposed to a purple tinge, burgundy auburn hair carries more reddish pigments. However, both colours find themselves on the dark end of the colour spectrum.